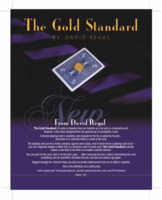 Today, when you order "The Gold Standard by David Regal", you'll instantly be emailed a Penguin Magic gift certificate. You can spend it on anything you like at Penguin, just like cash. Just complete your order as normal, and within seconds you'll get an email with your gift certificate. What is The Gold Standard? It is an 18k gold-plated tie tack or lapel pin that does something special with great economy: a card is returned to the deck, and an instant later it is seen impaled on your tie tack. 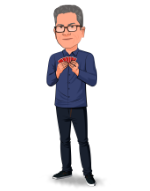 You can pull on the card, and spin it on the post. Best of all, when you remove the card from the tie tack there is a hole in the card.